June 5, 2015 – Just how dim is the sunlight on Pluto, some three billion miles away? While sunlight is much weaker than it is here on Earth, it isn’t as dark as you might expect. In fact, for just a moment during dawn and dusk each day, the illumination on Earth matches that of high noon on Pluto. We call this “Pluto Time”. If you go outside at this time on a clear day, the world around you will be as dim as the surface of Pluto. It’s always Pluto Time somewhere, and NASA wants to see your view, using a new interactive widget that provides the approximate time, based on your location. The tool also allows you to set reminders for upcoming Pluto Times. Go out and see what Pluto Time looks like! 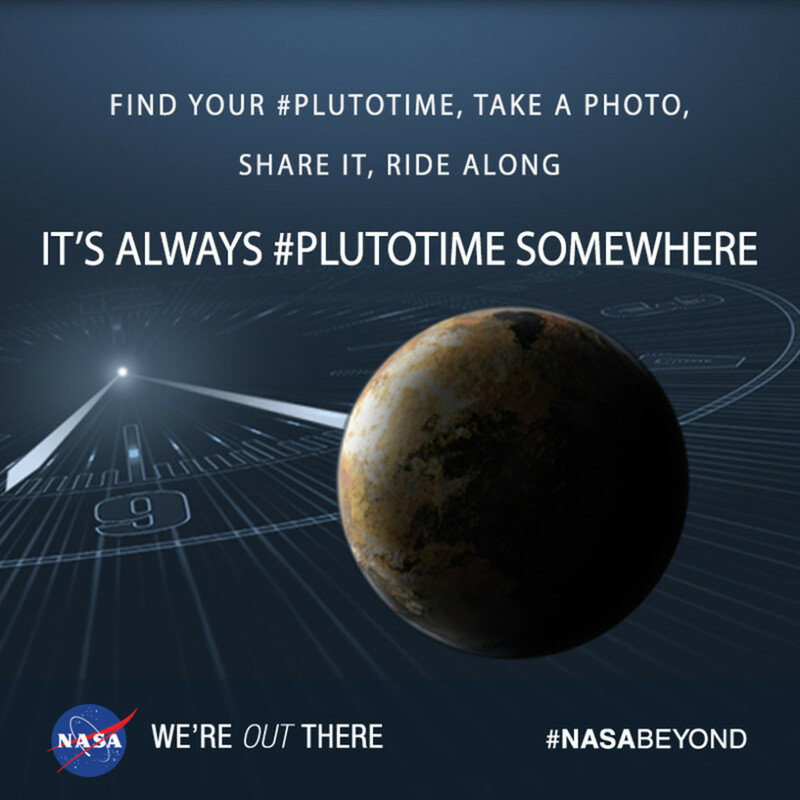 Take a photo during your Pluto Time – preferably with a local landmark – and share it on social media with #PlutoTime. We’ll highlight some of the most interesting shots from around the world and combine your photos into a mosaic image of Pluto and its moons to be unveiled in August. Once you’ve experienced Pluto Time – yourself or with friends and family – join NASA in counting down the days to New Horizons’ historic flyby of Pluto and its moons. Following a more than nine-year journey, New Horizons will pass approximately 7,800 miles (12,500 kilometers) above Pluto’s surface, reaching its closest approach at 5:49 a.m. MDT on Tuesday, July 14. The New Horizons mission is the first in NASA’s New Frontiers program and the first mission to the Kuiper Belt, a gigantic zone of icy bodies and small planets orbiting beyond Neptune. The lightweight New Horizons spacecraft will zip through the Pluto system at more than 30,000 mph (about 50,000 km/h) with the most powerful suite of science instruments ever sent on a first reconnaissance mission.